is to do something simple with my toddler each day during December that is fun, builds our relationship, and gets us in a festive mood! I love The Gingerbread Man story by Jim Aylesworth (we have the board book for my toddler) so for our first activity of December we read The Gingerbread Man and we did a simple gingerbread man collage craft! **You will want to make sure to use crafting materials that work for your child! Use larger pom poms and large sized buttons if your child still tries to put things in his/her mouth. You can also use edible embellishments if your child tries to eat craft projects. Use common sense based on your child's developmental abilities. This craft project is very simple and easy to adapt for a variety of ages. Start by setting out your embellishment materials in little bowls. You can cut the gingerbread boy out first or do it once the activity is done. 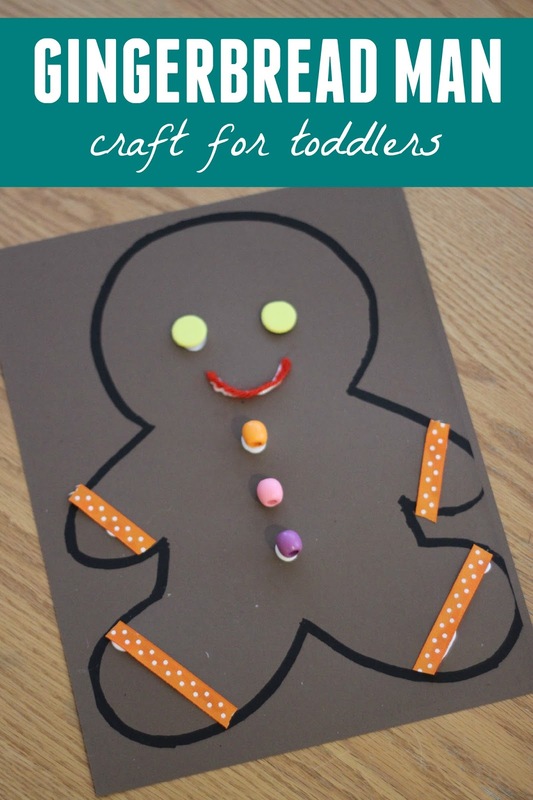 Next give each child a Gingerbread Boy printable printed on brown or tan cardstock and give them some glue (or squeeze glue onto the paper for them). 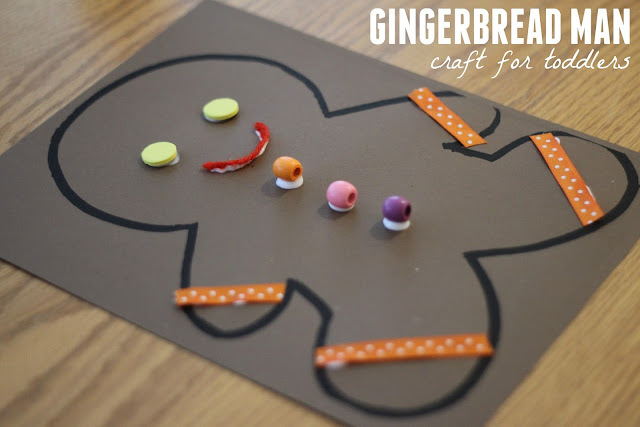 Encourage your child to pick their favorite embellishment items to make a fun and silly gingerbread man (or woman). My daughter wanted to use money for her gingerbread man's eyes while my son used jewels for his gingerbread woman's nose. As we created it was fun to see the variety of ideas that kids came up with. For older kids you can give them scissors and fabric or felt or paper and they can design clothes for the gingerbread man or other accessories. The sky is the limit. This craft activity is very open-ended and each gingerbread man looks so different! Try to avoid guiding your child to make their gingerbread man a specific way. 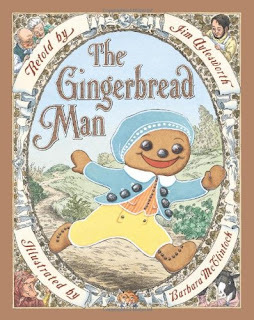 If you find that you are giving too many suggestions, step back and work on creating your own gingerbread man instead! I always love to sit down and craft alongside my kids. Come join in and make your own Gingerbread man! Upload your photos and tag them with #averytoddlerchristmas so that I can go and check them out! This craft is also being featured as part of our December Virtual Book Club for Kids. Several of us are sharing a favorite holiday book along with a craft or activity. You can click on any of the links below to see what some of the other Virtual Book Club for Kids co-hosts are up to this month. Are you going to join in? Make sure to either subscribe to Toddler Approved via email or follow me on Instagram (@kristinatoddlerapproved). Come back tomorrow for Day 2 of our "A Very Toddler Christmas' series. 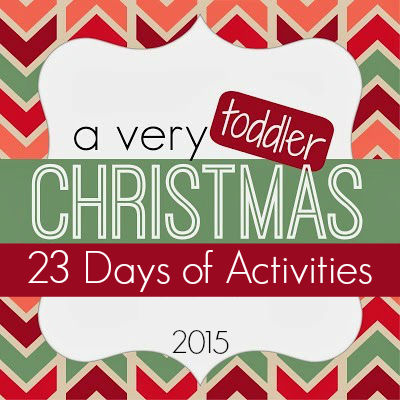 If you have additional favorite simple toddler Christmas ideas please tell me about them in the comments! We always love finding new ideas! We also pin Christmas ideas daily over on our Christmas Pinterest board if you get bored and need new ideas! What a fun craft to decorate for the holidays. Thank you so much for your great ideas!